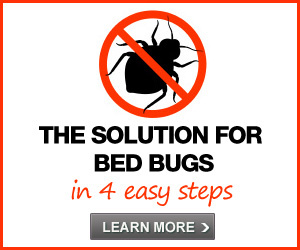 Reader question: How to move and leave bed bugs behind? Editor’s note: This was left in another thread, but I think it warrants a specific discussion of something that is coming up again and again: how to move when you have bed bugs. Relevant also: should you? We have some success stories: WindyCityMike’s and ABigFatWasteofTime’s. They took extremely different routes: Mike moved while treatment appeared to be successful. See here and here. Unfortunately, no one can tell you ways in which you can, with 100% certainty, not bring bedbugs with you or your belongings. I will say that you seem to be taking a large number of intelligent and well thought-out steps, and I think by doing so you’re minimizing the chance of spreading the infestation very well. But if you’re looking for tips on how to make it a zero percent probability of infestation, I don’t think we can answer that. You will, unfortunately, run the risk. You may want to describe the minor skin condition, and/or post photographs if one can do that as a commenter. People here can probably assist you in answering whether or not you are indeed being bitten. A doctor could, as well. Keep in mind that people who are here at Bedbugger are a biased group. I say this not to disparage any one here personally, but we all need to be very honest about the simple logistics of the situation. Anyone who has successfully left their bedbug infestation behind — physically, mentally, AND emotionally — has gone on with their lives and probably wants to forget all about it, and as such, has only the smallest likelihood of being a Bedbugger participant. As a result, those of us who are here … well, for example, myself, about a year and a half after I left my former home, I’m cautiously optimistic but still paranoid, and I know that although I am in many ways getting more and more past it, in some ways, I’m still back there. The idea of staying in a hotel, for example, can send me in a panic — even though I don’t know that’s where I got them from. What I’m trying to say is: while not *discounting* what people say here, remember that we are not going to always be the most cheerful, optimistic bunch, ‘kay? 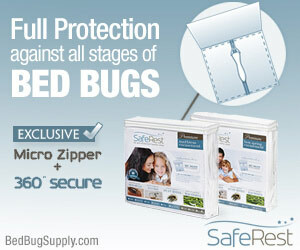 The chances are high, I think, that you’ll weather the trip well and move on with your life bedbug-free. But we may not give you that impression. Placing objects into Tupperware containers (they must “snap shut” to be an effective seal, my PCO told me) and sealing them with Saran Wrap will work *only* if the bedbugs have not already infiltrated the items you’re packing. If they have already done so, all you are doing is giving them an airtight ride to your new place. I would accordingly deeply and meticulously inspect anything you put in the bin before you put it in the bin, to give it as best a visual inspection as you can before packing it in there. Shake out books; remove DVD labels from their slipcases. (I don’t personally think bedbugs can infilitrate inside a DVD box; the latch is too tight, even given how thin they are.) Keep in mind I did not do this myself, and still was okay. But if you want to be meticulous, that’s what I’m saying. Keep in mind that bedbugs can live without feeding for a year and a half. How long they can survive in cold weather, though, I do not know; perhaps someone else here can do. With regards to treating your things, you may wish to look at: . I have no personal knowledge of what it describes there or how to go about doing that. With regards to the likelihood of individual objects being infested, none of us can tell you for certain; however, we can say that your objects’ proximity to the *bedroom* is not a factor. Your objects’ proximity to the common resting places of the apartment’s only bedbug food source (you) is the factor. Bedbugs do not limit themselves to beds; when I was dealing with an infestation, it was not uncommon for me to find a bedbug on my office chair, although it was only five or six feet from the bed, so it was not difficult for them to make the trip. I would *cautiously* suggest that the audio equipment might be safe, as long as, say, there isn’t a comfy beanbag or chair near by it that you would often sit on. How easily can you visualize the whole of each of your houseplants? I don’t think you’ll find bedbugs in the dirt itself, but if it’s one of those things with hundreds of leaves and lots of nooks and crannies, I’d personally chuck it. I brought my laptop with me. I didn’t own a printer. I wouldn’t feel the need to throw away the laptop, personally; that could be an expensive proposition. (Then again, Vista did just come out, and if you’re looking for an excuse to upgrade … ) And your cleaning regimens for the bird cage make it sound fairly safe; my understanding is that bedbugs find it very difficult to climb metal, meaning that climbing the filing cabinet would be unpleasant or perhaps even impossible for them. Plus, I don’t think your bird is a pleasant food source for them. As for your car, I am not sure if you can say it is a zero-risk, as my understanding is that the temperature has to be freezing or below, consistently, for two weeks in order to kill them. Depending on how close to the freezing point it is, the car’s structure itself may be insulating things so that the internal temperature inside the car is above freezing, and driving the car of course makes the motor warm. However, I do think that, yes, you could consider it a very low risk, although it depends on when those bags were placed in the car versus when the bugs actually moved in. 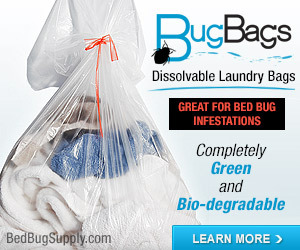 Is it at all logistically possible that those bags of clothes contain bedbugs? Finally, to wrap it up, I’m the “WindyCityMike” mentioned above. How did I move away from my apartment without bedbugs? I don’t know, to be quite honest with you. I think Luck or Provenance had a concerted hand in it. I will say what I did, however, in the hopes that any of my thought patterns might be of use. I had two treatments, two weeks apart, from a PCO with *experience* dealing with bedbugs (his agency has been around since 1898 – that year isn’t a typo). He indicated that the spray he used would remain effective for six weeks (it would be at its most powerful the first two weeks and then begin growing weaker, but it would stay effective for six weeks). When I learned that my landlady would not even be inspecting the other units herself until late October, much less hiring or retaining a PCO to inspect the other units, I decided I couldn’t live through the rest of the lease with the stress that would involve, and asked her to let me out of my lease. She did. I moved out about a week or two before the poison would have lost total effectiveness. I think that the mitigating factors in my departure were that (a) the PCO characterized what I had as a “small” infestation; (b) I remained sleeping in my bed and kept using my chair, etc., so that any bedbugs not immediately killed came out to use me as a food source, thus crossing the ‘barrier kill’ poison laid down; (c) I had packed books, DVDs, etc. in order to keep shelving, floorboards, etc. clear for spraying by the PCO for both sprayings, but after the second spraying was done, I unpacked everything — despite my upcoming move — so that were there any bugs in any of the books, DVDs, etc., that had been packed up, they would come out to get food (me) and, again, cross the ‘barrier kill’ and die, thus not coming with me to the new place. I put off packing until a few days before I was leaving, thus giving them maximum time to come out. Essentially, the underlying theory was to maximize the probability that any bedbugs in the apartment would have time and opportunity to cross the ‘barrier kill’ poison laid down and die, rather than coming with me. Although bedbugs *can* survive without food for a year and a half, I don’t think they’re going to pass up lunch if it’s there, and the cessation of bites was a comforting sign. I have no personal knowledge of what it describes there or how to go about doing that. Thank you for detailing out your experiences. I’ve read your blog many times, searching for these very details. I am in Chicago too, and using the same PCO as you. However, my guy didn’t give me any definitive timetable for bringing back my stuff, so I’m glad to hear that I am doing what you did – packing stuff up temporarily, then bringing it all right back and unpacking it. Thank you so much for sharing this story; it brings me great relief. You are totally on the right track here. It sounds like your building is proactive, which is great. I am actually wondering if you need to move at all? It sounds like you’re already planning on it, but if you have a building that not only treats your apartment but treats all the other ones too, then you have a much better chance of beating them, in this apartment. I think it would be much less stressful, and perhaps more effective, if you stayed there, left your stuff there too, and just made the apartment into a hostile environment for bedbugs. Meanwhile, the stuff: typically people say you can survive bedbugs without throwing anything out, and I believe a mattress is a major item worth saving. Just because they are expensive, and treatable. After a PCO sprays it, you can cover it with encasings from National Allergy (expensive, but cheaper than a new mattress). If you can leave the encasings on for 18 months (and how often do we really need to access our mattress?) I think the mattress is salvageable. That said, it gave me great relief to throw out my infested comforter, so maybe the same will happen for you. Just make sure to label it properly so nobody else takes it home. For the things you can’t part with, I think the principle to remember is that you only want to seal things that you KNOW are clean. A first step is to inspect them really carefully, as Mike said. I think that inspection would work for things like books and papers – just use a bright light and maybe do it in the bathtub or over a white sheet. You are looking for anything moving, and any tiny white rice-shaped clusters. A supplement to inspection could be Kleen Free, a nontoxic cleaning spray that will contact-kill any bugs. (It won’t kill eggs, though, so it’s not a perfect solution). But Kleen Free WILL kill bugs on the spot, and it shouldn’t damage clothes or stuff. It also smells like vinegar, which is much more pleasant than Raid. You can buy Kleen Free on Amazon. 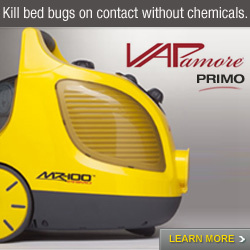 I have also heard that steam-cleaning is a good way to ensure an item is bedbug free, and the heat will kill eggs too. (Not sure on exact specifics of how hot, how long – but maybe worth looking into). Anyway, once you know that something is clean, then yes, seal it up. We used big Rubbermaid bins and taped the edges down with clear tape, all the way around. 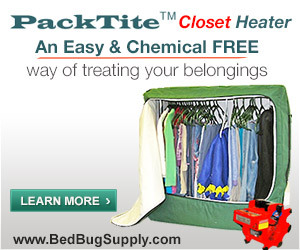 For all the items you mentioned, I think the answer is yes, bedbugs can live anywhere. They CAN be in books and papers, they CAN be in a guitar case. I don’t know how likely it is. But if I were you, I’d treat everything I owned as if it MIGHT have bugs in it. So the music gear, for example – would you be able to seal it up and store it for 18 months? Or could you put it in cold storage, just for a week or two? You know what I’m wondering – is your apartment going to continue getting treated? Because if it is, then you might be best just leaving your things IN the apartment. Any bugs inside would eventually come out, looking for food. You could put your items on a metal shelf, and have the PCO surround them with chemical. Lastly, the car – I have heard of instances where cars were infested. I think it’s unlikely, but possible. My PCO said that they would eventually leave, via me – that they’d find a way to get on me or something. I’m not so sure. I think the rule with cars is to just try your best to not bring them with you into the car. Only wear clean clothes. Keep your coat and shoes and purse in bags, when at home. Spray them with Kleen Free as you leave the house. Etc. i haven’t been on this site for a while. it’s only been about 3 weeks, but i think we may be bed bug fee at our apartment now (fingers crossed). It’s great that your landlord is treating the whole building. It sounds like they are not meesing around and will beat this until it’s down. S. is right, the kleen free is a good way to kill bugs on contact. It only works on contact, but it’s great for cleaning things like shoes, surfaces, etc. i’m wondering if you could even clean the leaves of your plants with it? i’m not sure because it is an enzyme cleaner. i ordered the premixed kleen free, but would recommend ordering a larger undiluted quantity. i found i ran through the spray pretty fast. as for freezing things. it needs to be consistent for at least two weeks. i would do three weeks to be sure. good luck! i have a feeling you will be just fine. Mike–great to see you here! S. and Allergic girl, thanks for your responses. Jane, I emailed you offlist, since you gave me more information in an email about your lack of hard bedbug evidence. 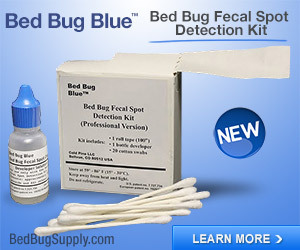 Bed bugs can be very elusive, but I would not assume you had bed bugs if you did not see at least the feces. They leave traces. It sounds like there’s a chance they have not hit your apartment; your skin may be affected by something else (even possibly pesticides, if you were allergic). I know it can be immensely frutrating for me to be asking all this when you really want advice moving, but if you’re talking about throwing away a LOT of stuff and moving, you owe it to yourself to be sure. The other really good point that S and Allergicgirl made is that if your landlord is treating this and hired a good PCO, who comes back every two weeks to treat until symptoms are gone, then you probably should not move. People usually have to move because their landlord is not treating the whole building or has hired an ineffective PCO, but this does not sound true here. You’re right in thinking that an active infestation would require moving without your stuff. Mike was able to move with his stuff because his treatment was going well. Anyone with an active infestation has a good shot of moving bugs no matter how much stuff they toss, unless they literally take nothing. On the other hand, people with small infestations and active treatment have a good shot at fighting this. Since Edmonton has a lot of bed bugs, what if your friend’s apartment or a later home gets them? You’d be better off here, with a proactive landlord and not having thrown out all your good stuff. Oh, and Kleen free can’t hurt, but it only kills bugs on contact. 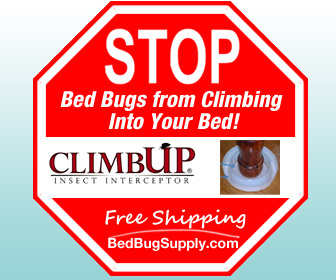 If you can’t see your bed bugs, there’s really no point spraying it everywhere. I can see that it might give you peace of mind with, say, shoes, but it also won’t kill anything that is hidden away inside them. ps — I missed a few things there. Your car is a super low-risk environment because it has been so cold there. We give people extreme warnings about how things should be frozen so they don’t pop them in a heavily used home freezer for a few days and assume all is fine. But your winter in Edmonton car is probably very consistently cold, unless it’s used frequently. Take with a grain of salt anything anyone who’s been through this tells you. I’ve heard people say they may have moved bed bugs one way (that sounds extreme) and then later discovered they may have had them at work or in a car (not a car in your weather, truly). As Mike points out, you’re getting advice from paranoid people. But just to reiterate, all of those people had evidence of bed bugs. So please describe yours in more detail so we can help you determine for sure this is the problem. Question: If bed bugs don’t like hair, then why do some people write that the bugs bite their pets? Do bed bugs bite dogs or cats? 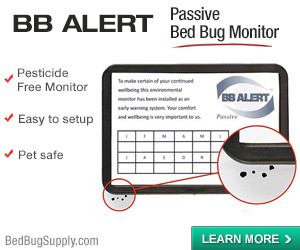 Bed bugs prefer humans to pets. They will bite pets if you are not available. Pets are also not necessarily covered in fur and their fur is different from hair. This is all speculation, but may explain it. I’ve read the same stuff Mike has about humans’ hair and BBs but some of our readers claimed to find BBs on their heads. We all have different hairstyles, and I think if you have prominent skin on your head (for example, clear parts) or you have shorter hair, or different kinds of hair, it may make a difference. first off, as some may remember, I got my bugs from my sister…well, I’m 90% sure I did. when she asked me to stay at my place for the weekend to wait for the PCO to spray her APT, we talked alot about what was going on. she spoke not only about her infestation, but places she found her bedbugs. not alot, maybe only one or two. but that she realy felt like they were cralling in her hair and yes, she found them there. infested pillows may be the reason, and they were never full blown adults. but bedbugs were in her hair. her hair is thin if that helps to discribe it…and short for a woman. just not short like mine…a 1.5 buzz around the sides and back, and maybe 2″ on top. anyway, when I first found out that I had bedbugs, I too felt that I had bugs in my hair. yet I always feel like them bastards are cralling on me…even now it feels like they are cralling on my legs and I’m not even home. yet one day in the bathroom, I scrathed my head and pulled out a small bedbug. dead, but still a bug. later I got rid of my pillows, and no more bugs in my hair…could they have come from my pillows? sure, maybe, who knows? closets, bathrooms, kitchens, you name it, they are there…. it’s clear to me that yes, pets like cats and dogs get bit and transfer them all over the house. this is not to say everyone will have bugs in thier hair. like others have said, it happens, but is not what they like. glad to hear such good news from you. 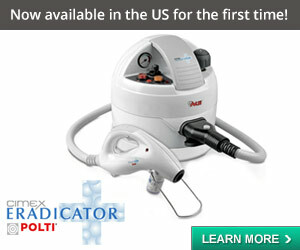 yet I am wondering, how long have your treatments been going on for? has it been two or three months yet for you? anyway, I’m again, glad to hear such good news. I’m not saying this couldn’t be true, Bugged in Brooklyn, you r sister probably did have then in her hair, but wouldn’t washing one’s hair and blow drying it help to remove any nymphs? Bugged– you were the person I was thinking of who did have them (and whose sister did) in their hair. Buggy’s point is valid–the question that set us off on hair was that Jane thought someone here said they moved bed bugs in their hair. I doubt it–your hair and body and clothing you’re wearing are obviously things you have to clean en route to a new home, but they are the least of your troubles. Bed bugs are not living in your hair–that’s not what Bugged said. (They were found there, in isolated incidents.) If something small is living and laying eggs in your hair, it’s probably lice. 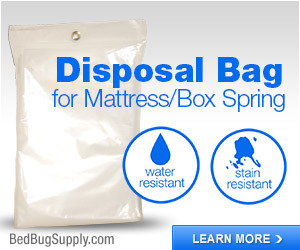 Bed bugs might just lay eggs on a person who was unable to shower or wash their clothes as a long term situation. But that’s not what we’re talking about here. The topic is moving: can you escape? And how? You guys have done such an awesome job of covering this topic! I’m proud of you, bedbuggers. Jane- It’s really important that you determine whether or not you actually have bedbugs before you take ANY extreme measures, including moving. I understand your concern, believe me, I do, but I encourage you to uncover the source of your skin condition before you do anything else. 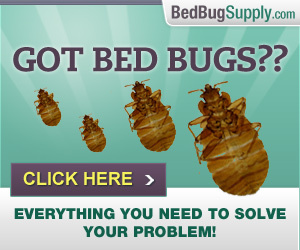 There is no need to uproot your life because of bedbugs, especially if you don’t know whether or not you have them! So, get some evidence either way- see your dermatologist, use some carpet tape around your bed as a trap- and then IF you determine you have bedbugs, go from there. As S. said, it sounds like your building is really on top of the situation, so moving is probably not necessary at all. I’m not just saying that as a paranoid person who moved and took bedbugs to a new apartment, either, I swear. I’m saying it because one of two things will happen if you move. Either you will move successfully, and so you will not have to deal with another infestation, but you will have given up your home and probably many possessions to avoid bedbugs; or, you will take them with you, despite throwing your stuff out and moving, and be forced to deal with it all over again. If I could rewind time, I would have stayed in my apartment and fought for my possessions and my home. Instead, I moved, and I ended up fighting at a new apartment. Well, the second time, I won. I fought hard, as many people do, but I won. I could just as easily have beaten bedbugs at my old apartment, but I did not know this, and so I chose to lose almost everything instead. Either way, you’re going to lose something. If you move, you have to store things and pitch things and worry over what you take and what you don’t take. And then you won’t sleep for two months because you’ll be wondering if you brought bedbugs with you. If you stay and fight, though, you’ll lose sleep and you’ll be fatigued and DAMN uncomfortable, but in the end, you’ll have everything that was yours to begin with. Best option is to buck up, stay and fight. You will win. And you’ll feel SO good when you do! a hair brush, a head band, a hat, her coat collar, even her pillow if she didn’t shower first before leaving her house. I will say that her “find” in my house was just before she took a shower as she walked in my house, and I tossed out her clothes. my find, was just after I woke up and just before my morning shower….was it from an infested pillow, or was it from a bug who tryed to bite me and had a long walk to reach my face? oh, and yes, she brought live bugs into my APT…we just thought that we killed them all as she arived. sadly, they must have been in her boots, and pocketbook too…I’m almost sure of it now that I think back on it. o, and yes buggy, washing your hair should help remove them easy. Wow – I want to thank you all for your thorough responses and advice. I have other reasons to move besides bed bugs. I have been living with a roommate for awhile and I want to live alone again, for personal reasons. Other reasons too… like even though I may have given the impression that our landlords are proactive, I don’t completely have faith in them, or the PCO who’s treating the building, for that matter. I have reasons… perhaps I’ll get into them at a later date. Nobugsonme, why do you say Edmonton has a lot of bed bugs? I have heard of only two apartment buildings with bed bugs, mine and another one. I’m sure there are others, of course, but where have you gotten the info that Edmonton is getting really buggy? 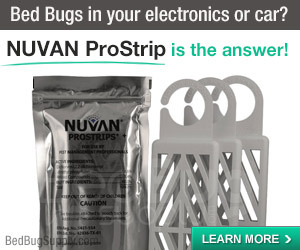 Also, Nobugsonme, the post I’m referring to where someone was wondering if they brought bed bugs with them in their hair used to be on this very website, on the front page. The person also wondered if they could have brought the bed bugs in their shoes, clothes, etc. I don’t remember who the author was. The post has since been moved. I’ve already been to see a doctor about my alleged bites. She couldn’t say what they were, though she did doubt they were insect bites. Here’s the brief version of what my “bites” are like: usually they aren’t prominent or itchy until I have a shower, although, interestingly enough, a lot of them seem to come out when I’m up late doing work. Mostly they are very small raised hive marks, usually mildly itchy, reddish with scratching. After being noticeable for a few hours, they often dwindle away to pimple-like marks or hardly anything that no one but me would notice. I’ve only had one time where a “bite” was large-ish hive, about one cm in diameter, on the inside of my knee, and once again, after itchily announcing itself, the “bite” receded away to almost nothing visible after an hour or two. Most “bites” appear on my stomach and chest. I’ve also had the odd “bite” on the inside of my foot, my left arm, hip, and neck. I feel like I should add that I have been a life-time sufferer of eczema, but I know what eczema is like and it’s definitely not eczema. I’m not optimistic I will be able to find a doctor or even dermatologist that could positively identify what my condition is. I’ve only tried one doctor, I’ll admit, but the experience wasn’t very promising. Thanks again everyone! I’ll write more later. We’ve had people on the Yahoo Bedbugger Group (see links in sidebar) as well as seen articles on entire buildings in Edmonton with bed bugs. See this. But every city in Canada has bed bugs, from Halifax, Toronto, Montreal, Winnipeg, Vancouver, and on so on. I am not saying you will move to another apartment with bed bugs, but rather, you have a good chance of moving WITH your bed bugs–which is why Jess and I, and others recommend staying put and fighting them there. I know you may want to move, but you probably don’t want to spread bed bugs, if you do have them. No one can make the choice for you, we are just sharing our opinions. BuggedinBrooklyn has mentioned in our comments that he and his sister found bed bugs in their hair (once, twice, individual bugs). But not as a perpetual thing, and not in the context of moving. Bed bugs can’t live on you, and a shower would remove them if they climbed on briefly. No one on this site has said they moved and took bed bugs in their hair, and if they did, they were certainly mistaken, since the one thing anyone who moves will do is have a shower and change of clothes! I know this is a small point, but I run the site and I don’t want people to read something here and take away misinformation. If anyone notices anything like that, they should alert me so I can remove it. But it’s not likely there was a comment I did not read. Doctor’s may not be able to diagnose you–they aren’t all aware of the range of reactions. 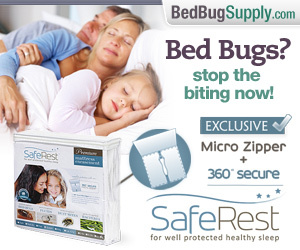 Your bites do sound like bed bug bites. But if you have bed bugs, there WILL at the very minimum, be small black specks sitting in your bed, and possibly elsewhere. When the bed bugs eat, they poop. If you do not find this sign anywhere, and often, then you probably don’t have them. If PCOs have been treating your apartment, it is, from what I understand, also possible to react allergically to that. Jane..My first bite surfaced as a round symetrical raised welt , on my upper breast. Every bite thereafter appeared like small red spots, very round in the center, like a puncture mark. Sometimes one, or two in an even row, or even three. Most bites appeared on and around my stomach. They always showed up after a hot shower in the morning, and they always itched. But the itching went away in a day. When I began to isolate my bed and wear more clothing to sleep, they began to bite my face and ankles. I went to a Dr. who was clueless. Have you found any evidence at all? Use only white sheets and look for any small blood smears on the sheets. Look all around the seams of your mattress for black poppyseed sized specks, and bug skins. Have you read the FAQ’s. ?..Start in any way possible to begin killing them off. 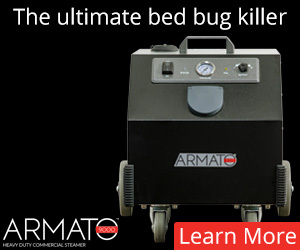 They are voracious breeders, so its important to take steps to lessen their population asap…I cannot speak to the exact numbers of bed bugs in Edmonton, but I can tell you that Canada in general, is experiencing an explosion of bed bug infestations.. Vancouver has adopted laws specifically addressing bed bug problems in their City. A large percentage of their hotels are admitting to problems with bed bugs. These bugs are communicable, they are called “proficient hitch hikers”, so please exercise caution. For about 1 1/2 My son and i have been getting bitten by i guess bed bugs. The bites sometimes swell up and itch like crazy. So far i have caught three on my bed and one in the bathroom. What i want to know is can cats carry bedbugs and if the apartment building where i live is infested with mice can this be the cause of the infestation? sorry forgot to add that i have three other kids who have not been bitten at all. Please copy and post your comment here. It’s a thread for general questions and answers and you’ll get many responses that way. First let me say that i really like the site! It looks great. Second. I too have to move, and appreciate this info. I am being a little crazy. Everything is in ziplocs, DVDs, books, clothes, etc. I am inspecting the ziploc bags before I put them into a garbage bag (which I will seal) and placed into another garbage bag (which will be removed once it leaves the moving van) so the bottom garbage bags of ziplocs are protected. I am throwing all of my furniture away except kitchen and bathroom stuff (which will be sprayed down). All of our clothes are sealed. All of them. I will also be spraying all of the furniture, pictures, etc… with steri fab and kleen free after they are removed from the van as well. Then I will spray our shoes before we enter the apartment. Once in we will strip down and seal our moving clothes. SO! My question after all of this is, how do I deal with the electronics and the quitars my boyfriend has? The guitars are in bags which I can spray, but the guitars themselves? I am being super careful, and I know i will freak out if I cannot treat them somehow. Bugaboo, as Mike notes in the first comment, it’s essential that no bed bugs or eggs get into those ziplocs (I think eggs can be tricky to spot). As far as the guitars, anything anyone here says is going to be speculative. I’d ask the PCOs on the bedbugresource.com in their forums. Maybe one of them has helped someone treat a guitar. Tell Sean we sent you and let us know what they say. hi I live in an old apt in the west village nyc. Have been here since 1974.I am fighting with the dreaded bed bugs. It seems overwhelming but I have gained inspiration and info from others. Iam trying to do this on my own as I am retired and living on a very small income. I had a pro come in and told me it would be very tough ridding my place as there are so many cracks in the floor boards , I have wall to wall rugs . I got a mattress encasement for my loft-bed in the back and my platform bed in the front. I got rid of 1500 lps. and I also am ziplocking my dvd’s and 1500 cd’s. Ouestion is there a pest strip or something I can put in the ziplock bags before I seal them up to kill them? I can’t find anything like that on line or at Home Depot. I spray around my bed with BEDLAM , and Sprayway , once a week. Results indoor insect killer, sprinkle powder on rug and then vacuum it up. It is a nasty way of hoping to kill them. Saw one on the ceiling in my t.v. room last Monday then found one crawling in bed with me tuesday am. I am caulking all the holes and cracks in this old place, and filling the pipes with steel wool and then caulking over that so the can’t run between floors.My main concern is not throwing away my books cd’s and papers . I have read they can even infest your smoke alarm and T.V.remote. Can you spray these items? Thanks. Rich T.
I am concerned that you are living in a multi-unit building and yet trying to do this on your own. I suspect you are not the only one with bed bugs in your building. It is nearly impossible to get rid of bed bugs if your neighbors have bed bugs and are not concurrently treated along with you. If you are renting, in most NYC apartments, the landlord is responsible for treatment. The best scenario would be the landlord having a professional inspect and treat all infested units concurrently. If you own your apartment, the coop or condo board needs to rally and have all units inspected and treated. http://bedbugger.com/forum (or click forum button at top right). in sept 07 i discovered bed bugs in my old apt on the midtown west side. i lived with the infestation for a while- it was really off and on- after i put a casing around my mattress i was rarely bitten. it wasn’t a bad case- as i could live with it but now it is aug 08 and its just enough already. i had an exterminator come and i packed up all my stuff- vacuumed (not enough i suppose) sprayed every day and 2 and a half weeks later i had bites on my arm. i told my landlord i wanted out and so i moved. i threw out a lot of stuff, zippered all my clothing in plastic, and got rid of my bed frame…i kept my night stand and book case- i am so paranoid that i brought them with me- that it gets in the way of my every day activities. 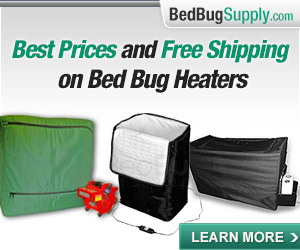 i wish i was bed bug free. the anxiety is killing me! I had a really bad infestation threw out all but cds a 29inch tv. 2 guitars. I moved to a new apt and had to move from flooding during that 4 mo. stay i had no bites. i bought new furn. moves again with my new stuff into another apt that had them and got reinfested. im now moving getting rid of furn. all clothing, shoes, purses etc. getting rid of anything that is wood or fabric. this is what ive experienced or have found out hair i used nix for lice, my guitars i contacted the Gman at Acoustic guitar.com he said do not treat inside with any chemicals, vacuum inside of soundhole. Ive sent mine in for cleaning. shoes, boots and sneakers i would practically boil and i added Antibactial fantastic to the water along with takin out the innersoles. I contacted the pco that only treated the small bldg of 8 apts and said that electronic equipment can be treated with Vapona strips sealed in plastic bags for a week. Im sending mine out to be cleaned telling them why. Some tvs may arc or change color on screen if not done properly. It seems ok to treat and live with your stuff but as soon as you move to get rid wood stuff and all fabrics too. The only sure mattress cover heard that works after treatment cost $75 both bx spring and mattress be treated and covered and after treatment dont wash slats or frames to bed as it gets rid of chemicals. they hide under rivets and bolts. Here are some helpful things i found out make sure to treat sink, tub drains by your pco. they can live in there and nest. After treatment i used 71% rubbing alchohol on window sashes, clothing, shoes, i washed all purses, wallets check your pockets too. Alchoholed undersides of tables only, I used alcohol pads on remotes took out batteries and blew them out, I got down to a control of getting bit every 2 weeks to 5 – 6 weeks now. im moving without furniture my pco said not to bring it, clothing gone, shoes being replaced and nothing new to come into old apt. heres some others use plastic hampers, or clear plastic bags that can be sealed, car should be vacuumed and all vacuumes with bags watchout seal up used bags and throw away out of home. Anyone not really allergic probably wouldnt mind the small red bite marks ive actually seen a girl with a ring of bites in a bracelet form on each ankle i asked her if she called her doctor she said no I asked if she thought said was kissed by an angel and she said she didnt know and proceeded to get help my bites were misdiagnosed as herpes and was told to take Valtrex and went to an Entomologist with a bed bug and confirmed the bite. Previous post: The UFT (NYC teachers’ union): how do we get the city to be proactive about bed bugs?